When you’re on the market for a scope, chances are you don’t want just any rifle scope – you want the best long range rifle scope that will allow you to touch targets at extended distances. The problem is that practically all optic companies like to market their scopes and optics as ‘long range’ even though not all scopes meet that need. In this article, we are going to talk about the specific features that a true long range riflescope has followed by an outline and discussion of some of the best long range riflescopes on the market by price. Best Low Priced Rifle Scope: No products found. Before we talk about the best long range scopes on the market, we’re going to talk about the specific features that the best scopes for long range shooting must have. The first feature is that the glass has to be of exceptional quality. The quality of the glass on your rifle scope is the biggest factor in determining the price of the scope. Glass that offers you a clear and sharp image when you peer through it is absolutely imperative for long distance shooting. Read every review online you can find and try to physically try one out at a sporting goods store to know for sure if the glass in the rifle scope is good quality. The next feature to look for in a long range scope is the zoom range. If you aren’t able to adjust the zoom on your scope, you should reject it because that particular scope is not designed for long distance shooting. Not only should the zoom power of your scope be fully adjustable, it also needs to have a zoom power of at least 18x. Anything less than that is going to make it difficult to view a target up close that is a 100 or more yards away. The zoom power of your scope is not the only thing that has to be adjustable. The elevation also has to be fully adjusted. The more you can adjust the elevation on your scope, the more suitable it will be for long distance shooting. An elevation adjustment of 100 MOA (minute of angle) is a good rule of thumb to shoot for when determining if the rifle scope is a good match for you. The reason you want so much leeway in your elevation is so that you can make precise adjustments. An MOA that’s off by five, for example, greatly impacts your shooting performance. The next thing to look for in the scope is the reticle, or the dot/crosshairs, that you use to line up the scope with the target. On this one you’ll be basing a lot of it off of your own personal preference. Maybe you prefer a crosshairs with two black straight lines, or maybe you prefer a red or green dot in the center. Even though you get to buy a scope that has a reticle that you are the most comfortable with, you will want that reticle to be as effective as possible. A rifle with a quality or effective reticle is going to be far more efficient for long distance shooting than a rifle scope with a subpar reticle. So what are some things you can look for in your reticle to make sure that it is indeed of the utmost quality? One thing to look for is for the marks to be evenly spaced from one another. This is critical when dialing in your scope for elevation since you are measuring the distance between yourself and your target before calculating how much drop your bullet is going to make when it is fired. If the marks or dots are off on the scope reticle, it will cause you to make calculative errors that will only negatively affect your shooting performance. A reticle with accurate dots and/or marks is also very important when you’re shooting on a windy day since you’re going to have to be continuously making adjustments to take the changing wind and bullet drop into account. The next feature to look for in a high quality long range hunting scope is the objective size. The larger your objective lens is, the more light will be visible through the scope and make the image you see through it clearer. An example of a smaller objective lens would be one that measures around 40mm, but this kind of a lens is only going to be able to gather a limited amount of light. In contrast to this, a scope with an objective lens of 50mm or greater is going to be able to gather more light and make the image brighter for you through the scope. Why is this so important? The answer is because a lot of shooting is done in dim outside conditions such as dawn or dusk. This is especially true for a long range hunting scope when game is most active after sunrise and before sundown. This is why many hunters favor a scope with a 50mm objective since it allows them to see better through their scopes when it’s not fully bright out. To be more specific, long range scopes with a 56mm objective lens are very popular among hunters. Finally, the last feature that you should absolutely look for when on the market for on your long range rifle scope is the front focal plane. Virtually all long range rifle scopes include this feature. What it means is that the scope reticles, like we discussed earlier, are located on either the front focal plane and the second focal plane. In other words, the reticle is located either behind the zoom of the scope or in front of it. True long range rifle scopes have the reticle on the front. The front focal plane will allow the reticle to show a shift in size as the zoom is adjusted. When you zoom in the scope, the reticle on the front focal plane scope will appear to get larger as well. Now this means that if you’re zoomed all the way in it’s going to impede your vision, but it also means that you’re barely going to see any reticle at all when your scope is zoomed all the way out. Regardless the lines are always the same distance apart from one another, relatively speaking, which makes them more accurate for long range shooting. As long as you avoid zooming all the way in or all the way out, which you shouldn’t need to do anyway, the reticle will not impede your vision. Now that you know what the features are of a true long range rifle scope, we’re next going to find out what the best long range scopes are by budget. This Nikon Buckmaster scope is going to provide you with the most value for under $500, hands down. In fact, you should be able to pick this scope up for $200 to $300. The model with the mildot reticle is the favored one. Now while this is a long range rifle scope, it’s also a budget scope. The glass won’t be quite as good as a higher priced one, and the scope itself is going to have a shorter width. For the price, however, this scope still offers you incredibly good value. If you plan on spending around $500 for your long range scope, it’s hard to beat the Leupold Mark AR scope. For one thing, Leupold is one of the most reputable names in the optic world and that alone makes this scope worth your consideration. Even if the name Leupold wasn’t on this scope, it still provides you with awesome performance for the price. Shooters who have discussed this scope in online reviews report being able to hit targets over 1300 yards away, which is a distance that you would usually only expect a scope costing over $1,000 to hit. 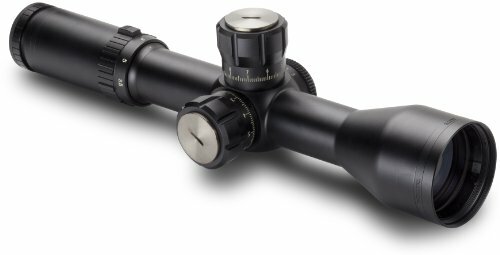 Leupold did design this scope with the AR-series in mind, but it will just as easily attach to and work with bolt action rifles as well. 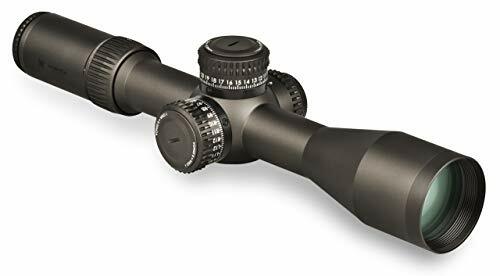 Bushnell is another highly reputable name in the scope optics world, and their Elite Tactical Scope is well worth the nearly $1,500 price tag. The main reason why this scope costs so much more than the Leupold Mark scope is its zoom/magnification capabilities. The very fact that this scope can start as low as 3.5x and then go all the way up to 21x says a lot. A lot of shooters who compete in long range shooting competitions will install a Bushnell Elite Tactical scope on their rifle or at least use a scope with similar zooming abilities. This scope ain’t cheap. Spending this much shows that you truly want the best long range rifle scope on the market. While the Vortex Razor HD probably isn’t the best all time long range rifle scope, it’s definitely one of the best, if not the best, long range scope that is sold for less than $3,000. Vortex may be a younger optics company in comparison to other manufacturers, such as Leupold or Bushnell, but their products are of no less quality. They designed the Razor HD Gen 2 with tactical shooting in mind. It has literally every one of the features that we discussed earlier in this article. In addition, the reticles are clear and accurate, and the turrets on the side are incredibly easy to adjust for precision shooting. Whether or not Schmidt & Bender is the best scope manufacturer of all time may be up for debate, but few can argue that they install the best glass in their scopes. Schmidt & Bender is a company that is favored by serious marksmen and rifle shooters. Their PMII scope represents the very best the company has to offer, which is why it makes our Best Rifle Scope list. One thing that you will notice right away when you pick up this scope is the weight. It’s heavy, and it’s going to add a little extra weight to your rifle. That increased heft is a reflection of the exceptional high quality of this scope. In addition, Schmidt & Bender has been extremely picky about the design of this scope, meaning that all of the mechanical components have been machined with precision and the elevation and magnification ranges are much greater than in other scopes. By reading this article, you have now learned of the different features that the best long range rifle scopes should have. 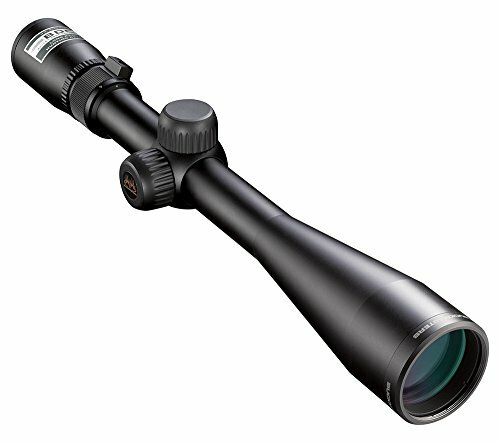 We have also provided you with a few different long range rifle scopes that in order to address all budgetary needs. Our goal is to give you all the information you need in order to make the decision on which long range rifle scope is best for you and your needs. Thank you for visiting Reloadingpresso.com. If our article has helped you make a decision about the best AR-10 rifle scope for you, please click through to Amazon using one of our buy buttons. We are an Amazon Affiliate website and we keep our website running through the small commission we receive when you purchase a rifle scope from Amazon after visiting our site. There is no extra expense for you – the price is the same as if you went to Amazon directly.If you’re looking for more than just the best rifle scope, please review our Best Reloading Kit Buyers Guide and our Best Gun Safe Buyers Guide.